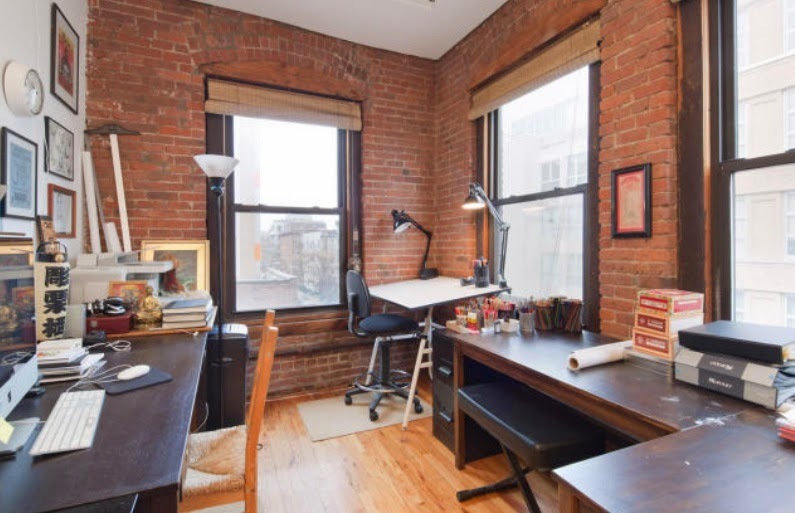 As seen on our new site HomeCanvasr.com for almost 2 weeks, it's a loft-style condo in prime Williamsburg at 119 North 11th Street, #3A. 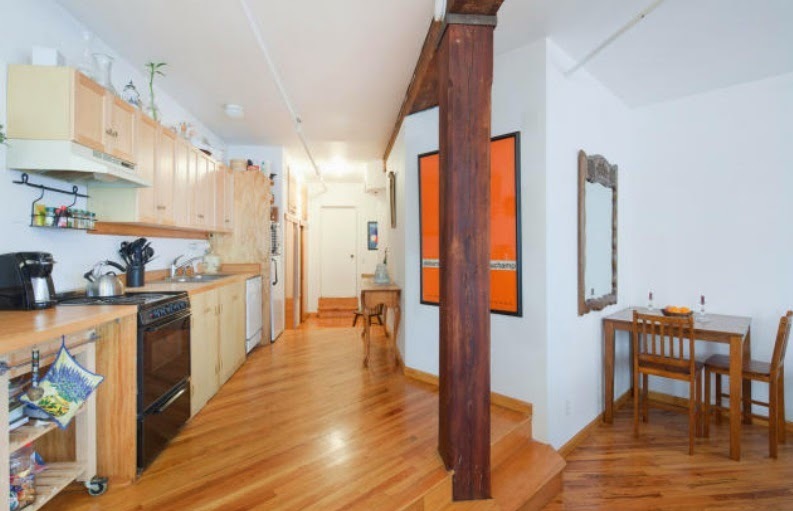 This 1,300 square foot 2BR/2 bath third-floor condo is just off of Bedford Avenue and around the corner from McCarren Park, and all the other sites and sounds that make Williamsburg such a destination these days to even rival Manhattan. Cleverly chopped into 2 units for the time-being, there's a play for a buyer to take on one unit, rent out the other, and combine them one day. Or they can be easily combined now, and may be one day soon. The asking price of $1.4M seems pretty reasonable considering that Corcoran just sold one across the hall for $1.75M with only 1 bath. And they listed another one on the same floor for $1.885M, which also has only 1 bath instead of 2. So why can't unit #3A chime in at the same price per square foot? In the land of generic new construction getting $1,200+/sqft, is the $1,077/sqft old loft conversion king? Low maintenance fees, humble-but-nice roof deck on the fifth floor, possibility for rental income and expansion some day. 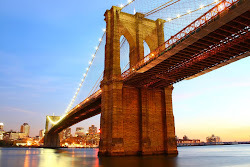 You know we lean townhome, but this condo is worth a look for the Billyburg crowd for sure. Owners have tastefully upgraded the place. It shows really well. 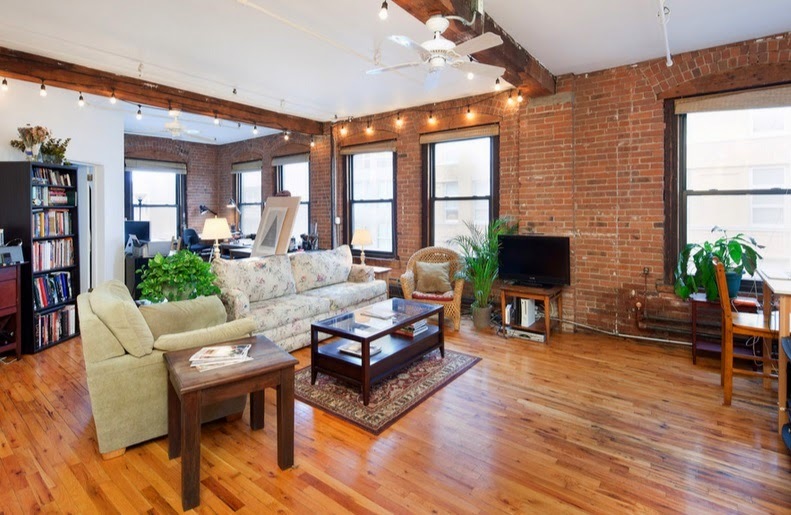 Like all of these units, it has exposed brick, wood columns & ceiling beams. There's an elevator and laundry in the building. There is a storage locker for the unit in the basement. It's not brand-new shinyness, but supposedly there are only a few of these industrial pre-war loft buildings converted in this style. 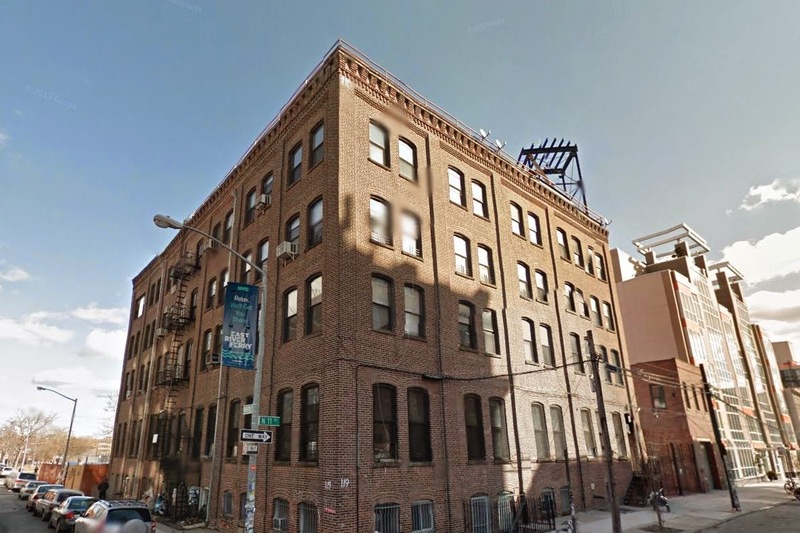 We see a buyer swooping this condo up before it hits a Corcoran.com. Who wants to pay 6% if they don't have to? Ideally: a great HomeCanvasr.com lead strikes again! Get to this condo before the big brokers do. 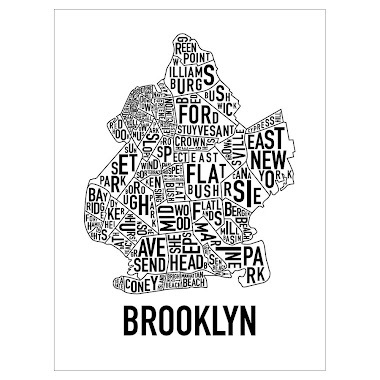 Closings of Note: "Is Brooklyn Over?"